OBAGI NU-DERM BLEND FX is a skin cream for sun-damaged skin. Ingredients like Arbutin and an exfoliant help to brighten and clarify the skin for a more even skin tone. Unlike other skin lighteners, like OBAGI NU-DERM BLENDER, OBAGI NU-DERM BLEND FX does not contain hydroquinone. 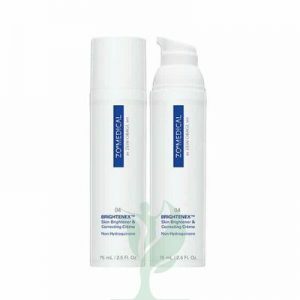 Instead it contains the ingredient Arbutin, which comes from the Bearberry plant. The Arbutin has a similar action to hydroquinone, blocking the production of melanin pigment in the skin to gradually fade the look of dark spots and other discoloration. OBAGI NU-DERM BLEND FX is appropriate for your patients of all skin types, from dry to normal to oily skin. 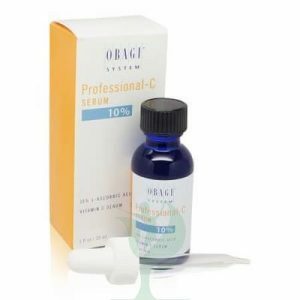 If your patient has signs of premature aging from sun damage, such as hyperpigmentation, erythema, sallowness, roughness, and sun spots or age spots, they can benefit from using OBAGI NU-DERM BLEND FX to help lighten and brighten their skin for a more even skin tone. If your patients prefer a more natural ingredient to lighten their sun spots, instead of hydroquinone, they should choose OBAGI NU-DERM BLEND FX.